From the background information supplied by the inventors, news correspondents obtained the following quote: "Central pain is defined as 'pain initiated or caused by a primary lesion or dysfunction in the central nervous system' (Merskey and Bogduk, 1994). The diversity of clinical characteristics led to the designation of this condition as Central Pain Syndrome (CPS). The pain is most often steady and unrelenting, and has been described 'as if knives heated in Hell's hottest corner were tearing me to pieces' (Head and Holmes, 1911). It has no cure and is often resistant to conventional pharmacological treatment (Baastrup and Finnerup, 2008). CPS can result from a variety of conditions, and these may produce lesions at any level along the spinal cord or the brain. Common conditions include, for example, spinal cord injuries, multiple sclerosis (MS) and cerebrovascular lesions (stroke). The prevalence of CPS in these conditions is alarmingly high. A majority of spinal cord injury patients, almost 30% of MS patients, and nearly 10% of stroke patients suffer from CPS (Bonica, 1991; Yezierski, 2000; Boivie, 2005). "Many of the earliest reported cases of CPS involved damage to the thalamus (Edinger, 1891; Dejerine and Roussy, 1906; Head and Holmes, 1911). As a result, thalamic lesions were thought to be required for development of pain, and the syndrome was referred to for decades by the misleading term 'thalamic pain'. Research since that time has established that CPS can result from damage to any structure along spino-thalamo-cortical pathways that convey pain and temperature information (Schmahmann and Leifer, 1992; Bowsher, 1996; McGowan et al., 1997; Peyron et al., 2000; Finnerup et al., 2003; Boivie, 2005; Kim et al., 2007). "Immediately following spinal cord injury or stroke, somatosensation, including pain, is reduced (hypoalgesia). In most patients, pain starts within a few weeks after the original insult, and includes both increased pain with noxious stimulation (hyperalgesia) and pain in response to previously innocuous stimuli (allodynia). Perhaps most debilitating--and puzzling--is the presence, in the majority of patients, of spontaneous pain (Tasker, 1991; Greenspan et al., 2004; Boivie, 2005; Baliki et al., 2007). "One hypothesis that remains in favour of CPS, almost a century since it was first formulated, is that CPS results from abnormally suppressed inhibition in the thalamus (Head and Holmes, 1911). Unfortunately, any consensus appears to end there, as there are conflicting findings and hypotheses regarding the mechanisms and site of operation of this disinhibition (see Boivie, 2005; Canavero and Bonicalzi, 2007). To this end, there is a need in the art for determining mechanisms and targets for treatment of CPS. The inventors of the present invention have now discovered a novel mechanism and target for CPS. The inventors demonstrate herein that CPS results from, and can be treated by correcting, suppressed firing of inhibitory inputs from the inhibitory nucleus zona incerta (ZI) to the posterior thalamus (PO)." Supplementing the background information on this patent, NewsRx reporters also obtained the inventors' summary information for this patent: "The invention relates to neurophysiology. The invention further relates to pathophysiology related to pain. The invention even further relates to a method of treating pain (including, for example, CPS, hyperalgesia, and allodynia). "In certain aspects, the invention is drawn to a method of treating a symptom of central pain syndrome (CPS) in an individual in need thereof comprising stimulating a region of the brain wherein said region comprises the zona incertia (ZI). In further aspects, the region comprising the ZI consists of the ZI. "In certain aspects, the invention is drawn to a method of treating hyperalgesia in an individual in need thereof comprising stimulating a region of the brain wherein said region comprises the zona incertia (ZI). In further aspects, the region comprising the ZI consists of the ZI. For thimplanted directly in the ZI. "The foregoing has outlined rather broadly the features and technical advantages of the present invention in order that the detailed description of the invention that follows may be better understood. see: Keller, Asaf; Masri, Radi; Quiton, Raimi. 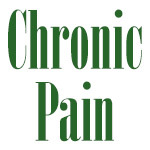 Methods for Treating Central Pain Syndrome and Other Pain Related Pathologies. U.S. Patent Number 8396558, filed February 4, 2010, and issued March 12, 2013. University of Maryland, Baltimore (Baltimore, MD) has been issued patent number 8396558, according to news reporting originating out of Alexandria, Virginia, by NewsRx editors (see also University of Maryland, Baltimore). The patent's inventors are Keller, Asaf (Baltimore, MD); Masri, Radi (Ellicott City, MD); Quiton, Raimi (Baltimore, MD). This patent was filed on February 4, 2010 and was cleared and issued on March 12, 2013.